What's next for car sharing? 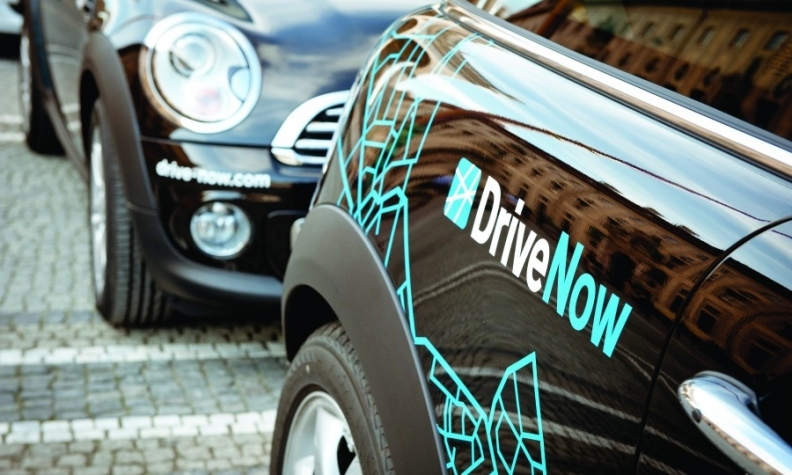 BMW is adding about 10,000 customers a month globally to its DriveNow car-sharing scheme, which is profitable in several European cities. Car sharing in Europe went mainstream in 2013 as consumer awareness snowballed and more global automakers joined the sector. "We've seen a breakthrough in acceptance," said Wolfgang Booms, Ford of Europe's executive director of fleet sales and re-marketing. "Now is the right time to get into the market if you want part of this business." Experts say the prognosis for 2014 looks equally promising, especially for companies that aim their services at corporate customers. Car companies, however, will need to see themselves as tech groups and should try to own some part of the information technology solutions they provide or they risk being relegated to the role of commodity provider, said advanced mobility group leader Jean Francois Tremblay at consultancy EY. "The mobility part will come before you even enter the car," Tremblay said. Ford is one of the automakers to roll out car-sharing fleets last year in Europe, where demand for the service is expected to grow to 15 million users by 2020 from about 1.7 million now, according to analysts at Frost & Sullivan. Ford competes with automakers such as PSA/Peugeot-Citroen, BMW, Daimler, Toyota and Volkswagen. Both BMW's DriveNow and Daimler's Car2Go car-sharing services are profitable in several European cities, company executives said. However, profitability, at this stage, is not the point. The long-term growth in car sharing is driven by a mix of factors. The "shared economy" model that first emerged in the music industry is now being adopted by young consumers for "underused assets" from homes to power tools. Said Lisa Jerram, a senior analyst at Navigant Research: "In 2013, the carmakers saw that this is a group of potential customers that aren't going to go the traditional route." If 2013 was the year car sharing went mainstream, 2014 will be the year of corporate car sharing, experts predict. Companies with large fleets can chose from two businesses models – technology organizations that provide the platform for companies when they purchase their fleets, or leasing companies such as ALD of Germany that find the market attractive. In 2013 there were 1,750 vehicles in Europe's corporate car-sharing fleet, said Franck Leveque, vice president of Frost & Sullivan's automotive and transportation group in Europe. "By 2020 we see a corporate car-sharing fleet of 84,000 vehicles," Leveque said. The private car-sharing market is led by Avis Budget group's Zipcar and Car2Go, the two largest global players. Experts say that neither the point-to-point nor the single-trip business model dominates, which means Zipcar and Car2Go can co-exist. Zipcar had 850,000 members in the United States, Canada and Europe by the end of last year. Daimler's Car2Go has more than 600,000 members in the United States and Europe. BMW's DriveNow is available in four German cities plus San Francisco, California. The automaker is mulling a move into Milan, Italy, this year. BMW, in partnership with car rental group Sixt, currently has a fleet of about 2,300 cars, plus about 110 electric cars. "From our market research, the first early adopters were young male technophile customer, and now were seeing the growth of the mainstream customer," said Tony Douglas, BMW's head of marketing and sales for mobility services. DriveNow is adding about 10,000 customers a month, he said. Another trend to watch in the car-sharing sector is city governments getting more involved in the business, either by stepping in with regulations on ride sharing and peer-to-peer services or taking a direct investment in the companies themselves, consultants say. Still, the figure of 15 million users in Europe by 2020 looks bullish. Even with 1.7 million users in Europe by the end of last year, 1.9 million new users will need to be added each year from 2014 through 2020 to reach 15 million. Nor is it clear what size revenue stream all this frenzied sharing could produce. Navigant Research estimates global car-sharing revenue will grow to $6.2 billion in 2020, up from $1 billion in 2013.